- Alan Munton, 'Trying to Read Lewis's Early Poems', 4-5. - Wyndham Lewis, 'Early Poetry', 6-12. - Paul Edwards, 'Timon Rediscovered: The Projected Max Goschen Edition, 1914', 13-17. - Min Wild, 'The Elation of Objects: Adorno and Wyndham Lewis's Tarr', 18-31. - Dennis Brown, '"Light into a Dark Place": Literary Criticism in Men without Art', 32-41. - David A. Wragg, 'Between Value and Cynical Reason: "Wild" Bodies, Modernity, and the Environmental Other', 42-54. - María Jesús Hernáez Lerena, 'Wyndham Lewis's The Wild Body and Short Story Theory', 55-67. - Philip Head, 'Trouble was their Business: Wyndham Lewis, Raymond Chandler, and the "Generation of 1914"', 68-77. - R. M. Healey, 'Apes of Europe', Review of Sophie Lévy (ed. ), A Transatlantic Avant-Garde (Berkeley, CA: University of California Press, 2004) and Steven Harris, Surrealist Art and Thought in the 1930s (Cambridge: Cambridge University Press, 2004), 78-80. - Paul Edwards, 'Together at Last: Timon, Shakespeare, and Lewis Meet: A New Edition', 81-83. 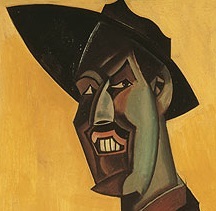 - Alan Munton, 'William Roberts, Gaudier-Brzeska, and the Vorticist Community', Review of Andrew Gibbon Williams, William Roberts: An English Cubist (Lund Humphries, 2005) and Paul O'Keeffe, Gaudier-Brzeska (Allen Lane, 2004), 84-91. - Paul Edwards, 'Academic Hallucination', 92-96.